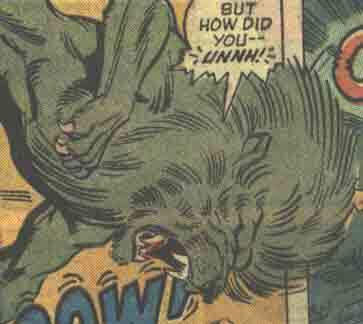 Powers/Abilities: Leo wore a lionskin costume equipped with claws on its gloves he could use for slashing opponents. (Avengers I#72) - Leo attended a gathering of the Zodiac made by Scorpio, who had captured the Avengers, only to discover that Nick Fury was masquerading as Scorpio, and the Avengers set themselves loose to battle them. Leo was able to flee when Aries distracted the Avengers with the Zodiac Key. (Avengers I#80 (fb) - BTS) - Under the direction of Aries (Marcus Lassiter), Zodiac regrouped and began plotting their takeover of Manhattan. Meanwhile, Cornelius van Lunt led Zodiac's efforts to build to steal the land from Red Wolf's father, leading Red Wolf to pursue van Lunt's agent, Jason Birch, back to Manhattan. (Avengers I#120) - Leo joined the Zodiac Cartel in an attack on the Avengers Mansion, and defeated the Avengers gathered there simply to demonstrate their might. He then participated in their plot to use the Star-Blaster to slay everyone born under the sign of the Gemini (except for their own Gemini), but the Avengers intervened. Taurus was able to halt the Avengers by threatening to kill Mantis with the Star-Blaster. (Avengers I#121) - The Zodiac lost their stalemate when the Scarlet Witch ruined the Star-Blaster, but they managed to flee after Aries knocked Mantis off the World Trade Center. Later, Leo participated in a meeting with Aries, Pisces, Cancer, Sagittarius, Scorpio, Libra and Aquarius in which they planned to usurp leadership from Taurus, and planned to meet with their financier Cornelius Van Lunt in order to gain his support. However, a meeting with Van Lunt, the Avengers appeared. As they fought, Van Lunt fled, and revealed himself to be Taurus. He then trapped the Zodiac traitors and Avengers within his warehouse, and launched it into space. (Avengers I#122) - Leo and the other traitors continued to battle the Avengers aboard Taurus' space trap, until the Vision pointed out the futility of their battle. Iron Man was able to bring them all back to Earth safely, but as they prepared to engage Taurus, Taurus observed that the Avengers were certain to send them to prison. They then turned on the Avengers and aided the rest of the Zodiac, but were defeated by the Avengers. 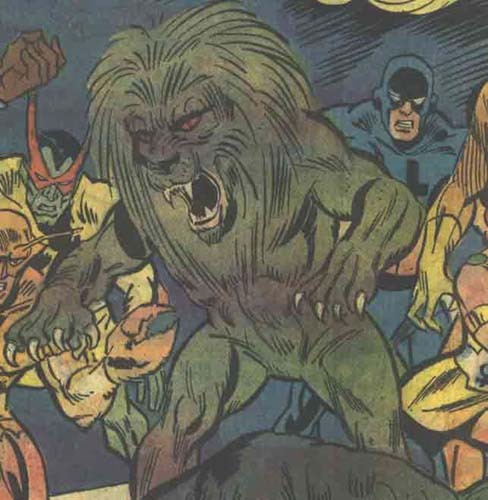 (Avengers I#123 (BTS)) - The Avengers turned Leo over the authorities with the rest of the Zodiac, except for Libra. (Ghost Rider II#7 (fb)) - Leo was sent to prison with the rest of the Zodiac Cartel, with the exception of Taurus. (Iron Man I#184) - Leo participated in a viewscreen-only meeting with the other 11 Zodiac members, during which Taurus explained his intent to destroy Iron Man with a bomb to prevent him from investigating the cartels. (West Coast Avengers II#26) - Leo attended a meeting of the Zodiac cartel in Houston, Texas, in which they discussed the threat the LMD Zodiac posed to them. Before they could come to any conclusions, they learned that an LMD of Jake Fury had replaced their Scorpio, and he let in his LMD Zodiac to destroy them. Leo was slain by the LMDS. As a Leo, Daniel Radford was born between July 23rd and August 22nd (my Zodiac sign! ).